Press Release – On February 25th , 2018, a complainant came to the Boyce Substation and reported that his hog hunting dog had been stolen from his vehicle while at a local convenience store in the Boyce area. According to the initial report, two females allegedly took the dog and were claiming to be representatives of the Humane Society or the ASPCA. Detectives from the Boyce Sub-station were assigned the case for further investigation. 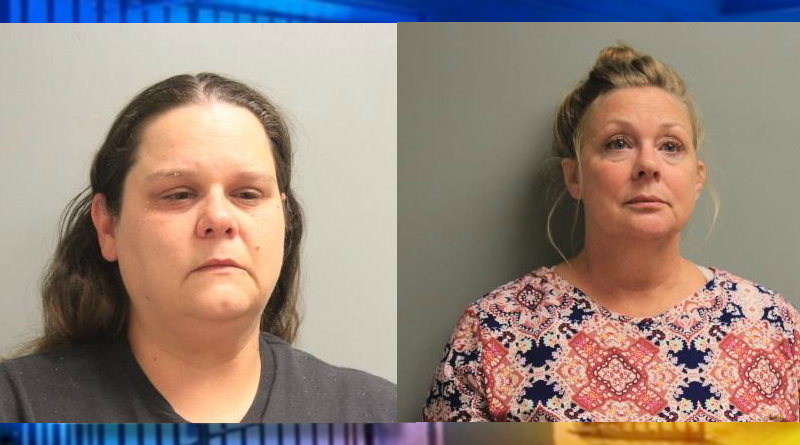 Through that investigation, they were able to identify the two suspects as Jennifer Ann Kane and Crystal Annette Ramsey. During the course of the investigation, it was discovered by viewing the surveillance video from the business that the dog was taken by Kane and Ramsey on the morning of February 22nd. Detectives were able to confirm neither of the women were associated with either animal welfare organizations they were allegedly representing. Arrest Warrants were obtained on both suspects for one count of Theft $1000-$5000, and one count of Criminal Conspiracy. On March 8th , 2018 Jennifer Ann Kane was located and taken into custody without incident and booked into the Rapides Parish Detention Center on the active warrants. Kane was released two days later on a $2,000.00 bond. On March 15th , 2018 Crystal Annette Ramsey was located and taken into custody without incident and booked into the Rapides Parish Detention Center on the active warrants. Ramsey was released later that day on a $3,500.00 bond.